This document (along with the documents mentioned herein) establishes the conditions governing the use of this website and the purchase of products from the same (hereto forth “Terms”). We ask you read these Terms carefully before using the site. Choosing to use this site or order products though it constitutes consent as to the binding nature of these Terms, so if you do not agree with all of these Terms you should not use this site. These Terms may be modified. It is your responsibility to read them periodically, as the conditions valid at the time of use or formalization of the Contract (as defined below) will be those applied. The Contract (as defined below) may be formalized in any of the languages in which these Terms are available on our website, at the buyer’s choosing. This website is operated under the name Yerse.com by CADENA GIOCA S.L.U., which is the owner of said site, a Spanish corporation with business address at Ctra. Terrassa, 263, 08205 Sabadell, entered in the Barcelona Mercantile Registry, Volume 21410, Folio 77, Sheet B-21405, and with Tax ID Number B-59903765. By placing an order through this website, you declare yourself to be over 18 years of age and have the legal capacity to enter into contracts. Currently the articles offered through this website are available for delivery to: AUSTRIA, BELGIUM, DENMARK, FRANCE, IRELAND, ITALY, LUXEMBOURG, HOLLAND, NORWAY, POLAND, SPAIN (except Canary Islands, Ceuta and Melilla), PORTUGAL (except Azores-Madeira) and SWEDEN. FIRST: To purchase you should sign up. SECOND: With your login and password you may access to choose your products and complete the purchase. If, after three attempts, we are unable to deliver your order, we will try to find a safe place to leave it. Additionally, we will leave a note indicating the location of your order and how to pick it up. If you are not going to be present at the delivery address provided at the agreed-upon time, we ask you to contact our logistics operator to arrange delivery another day. In any case, you will have 10 days from the date on which you are notified that your order is available, in accordance with the procedure established in these Terms, to pick up your order. If you haven’t picked up your order within that time, we will understand that you have chosen to terminate this Contract and we will consider it null and void. As a result of termination of Contract, we will refund the amount paid for said products, minus shipping and return shipping costs, as soon as possible and, in any case, in a period not to exceed 14 days from the date on which we consider the Contract terminated, in accordance with the stipulations of this Clause. The product shall be considered to be in your possession from the moment it is delivered. The prices listed on this site are expressed in EUR and include VAT (IVA) but not shipping costs, which will be added to the total amount owed, as explained in our Shopping guide, section Shipping and refunding, or in each product sheet, SHIPPMENT tag. Prices may change at any time but (except for the issues established previously) any possible changes will not affect orders for which we have already sent a Delivery Confirmation. Once you have finished shopping, any articles you wish to purchase will have been added to your cart and the next step will be to process the order and make payment. You can do so with Visa, Visa electron, MasterCard or Maestro cards or with PayPal. To minimize the risk of unauthorized access, your card information will be encrypted. By clicking on "Authorize Payment" you are confirming that the card is yours and that you are the legitimate cardholder. Credit card payments are subject to verification and authorization by the issuing body and if said body does not authorize payment we will not be held responsible for any delay or inability to deliver the products ordered and we will not be able to formalize any Contract with you. In accordance with the applicable legislation, any purchase made on our website is subject to the Value Added Tax (VAT) or any other tax or duty applicable according to the destination country. We offer you the option to return and/or exchange items purchased online. Once you receive your order, you have 15 calendar days from the order date to exchange and/or return any items you don't want. To return or exchange an item send us an email to: shoponline@yerse.com with the order number, and your contact details. We’ll contact you to organize pick-up of the items, through courier service, delivery to the store or post office, as it suits you, or if you prefer, you can send them back to us in the way you deem appropriate. You have a form template, if you wish, at the following link: returns form , but it's not necessary to use it. Items must be returned in a packaging to ensure they are properly protected during shipping. In case of withdrawal, we will refund al payments received, including the costs of delivery (with the exception of the additional costs resulting from the choice by you of a type different from the least expensive type of standard delivery offer). Returns attributable to Yerse are always free of charge (defective item or error in the order). Failing that, the return shipping costs correspond to 4,95€ or 8,95€ depending on the country of origin and if you had chosen our courier service. Your first return is free, exchanges are always free, and in Spain you can return items in store for free. We will make such refund using the same payment method used by you for the initial transaction within 14 days of the date on which we send you an e-mail confirming return of the item. We may retain the reimbursement until we have received the goods, or until you have submitted proof of their return, depending on which condition is met first. This stipulation doesn’t affect other consumer rights recognized under current law. If, upon receiving your products, you believe they do not meet the stipulations of the Contract, contact us immediately by e-mail at: shoponline@yerse.com indicating the product information and damage suffered, or by phone 902 32 34 00 (Spain)/+34 93 745 17 00 (for other countries), and we will indicate how to proceed. You can return products by handing them over to a messenger we will send to your home. We will proceed to carefully inspect the item returned and notify you by e-mail, whether we will accept return or replace the product (if applicable). Return or replacement of the item will be done as soon as possible and within 14 days of the date on which we send you an e-mail confirming return or replacement of the item. The amount paid for products returned due to defects, if we deem these to exist, will be refunded in full, including shipping costs incurred in delivering the item. The amount will be refunded via the original payment method. As a consumer and user, when purchasing any of the products marketed in yerse.com we offer you the corresponding guarantees, in the terms legally established for each type of product and recognized by current legislation that refers to the guarantees of consumer goods (Articles 97.1 .n / 116/120 and 123 of the law 3/2014) responding, therefore, for the lack of conformity of the same as manifest within a period of two years from the delivery of the product. That is why as a consumer you have up to 2 months to notify us any defect that you could detect in our products, since you had proof of them, and we wil proceed to repair it, replace it, price reduction or termination of the contract as appropriate, completely free. As a consumer you can ask complaint forms at our head office or download them http://www.consum.cat/doc/doc_62342195_2.pdf. You hereby recognize and consent that any copyrights, trademarks or other intellectual property rights to the materials and/or contents of this website belong to us at all times or to those from whom we have licensed their use. You may make use of said material only in accordance with our express authorization or that of those who have granted us license to use it. This will not impede use of this website to the extent necessary to copy information on your order or Contract information. In the case in which our website contains links to other third-party websites or materials, said links are provided merely for informational purposes and we have no control over the contents of said websites or materials. Thus we will not be held liable for any damage or losses incurred as a result of their use. The applicable regulations require that part of the information or communications we send you be in writing. By using this website you expressly accept that most of said communication with us will be via electronic means. We will contact you by e-mail or facilitate information by posting it on this website. For contractual means, you consent to use this electronic means of communication and recognize that any contract, notification, information or other communication that we send you electronically meets the legal requirements for written communication. This condition will not affect your rights as recognized by law. Any notifications you send us must preferably be sent via e-mail to shoponline@yerse.com. In accordance with the stipulations of clause 15 above, and except when expressly noted to the contrary, we can send communications to either the e-mail or post address provided in placing your order. Notifications will be understood to have been received and correctly transmitted at the time in which they are posted on our website, 24 hours after being sent via e-mail, or three days after the postmark on any letter. To prove that notification has been made, it will be enough to prove, in the case of letters, that the address provided was correct, that the letter had proper postage and was duly handed over to the post office or placed in a mail box, and, in the case of an e-mail, that it was sent to the address provided by the receptor. This Contract is binding both for you and for us, as well as for our respective successors, assignees or trustees. You may not transfer, cede, unencumber yourself of or in any other way reallocate a Contract or any of your rights or obligations derived from said contract without our express written consent. If any of these Terms or any stipulations of a Contract were to be declared null and void through a firm resolution from the competent authorities, the rest of the terms and conditions will remain in force, not affected in any way by said nullification. The User agrees to notify immediately YERSE any unauthorized use of his password and access by unauthorized parties to it. Use of our website and purchase Contracts through said website will be governed by Spanish law. Any disputes arising from or relating to the use of this website or said contracts will be subject to the non-exclusive jurisdiction of the Spanish courts of law. If you are entering into a contract as a consumer, nothing in this clause will affect the rights you have as such under current law. 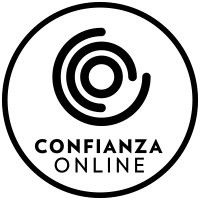 We inform you that we are affiliated to CONFIANZA ONLINE entity, with whom you can contact in case you think you need it. Give us your email and get 10% off your first purchase online.